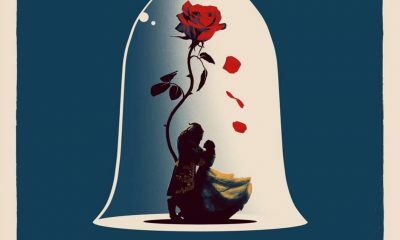 There may be forces at work far more powerful than anything the team on Beauty and the Beast has faced thus far. 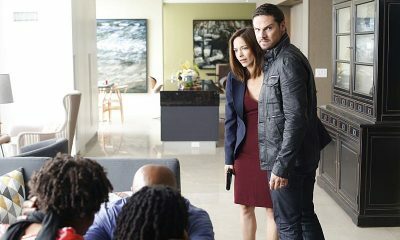 Cat (Kristin Kreuk) and Vincent (Jay Ryan) recently saw their wedding day interrupted by a new, seemingly unstoppable villain named Liam (Jason Gedrick). Vincent, along with his best friend JT (Austin Basis), Tess (Nina Lisandrello) and Heather (Nicole Anderson) all banned together and finally proved to Cat that she has a greater purpose. Unfortunately Liam is still on the loose, and JT, who previously thought he was cured from the serum that had infected his blood earlier this season, was left to wonder if he hadn’t been cured after all. JT and Tess must now set out to prove he is serum free, while Cat and Vincent attempt to track down Liam. 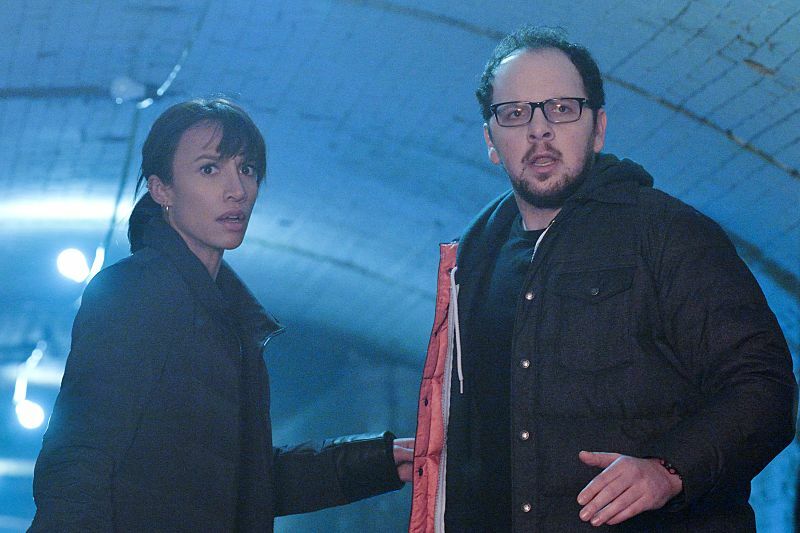 To find out whether or not JT will get any answers, we talked with star Austin Basis, in an exclusive interview, about what the serum findings will mean to JT, whether or not he and Tess can truly be happy together and what lies ahead for the rest of the season. It looks like JT’s blood may not be free of the serum after all. Where does he go from here in order to get some answers? 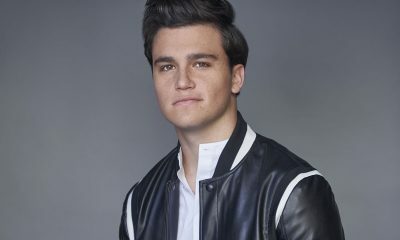 AUSTIN: A lot of the next two episodes are him struggling with what is going on. Not a lot is resolved, but a lot comes up in the next episode that I think will start clueing JT and everyone else in on exactly what’s going on and what the stakes are. Part of it is that he’s locked in with all these guys that have been injected with the serum and they all thought it was out of their system. The question is if it’s not out of their system what effect will it have now? Is it positive or negative? What are the side effects or benefits to it not being in the system? 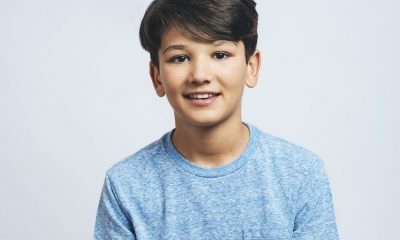 Obviously an external side effect is that they are being hunted for their lives by Liam and he’s doing something with their blood, as evidence by the fact that Alton (Zach Appleman) was found with a tube in his neck bleeding out and saved by Vincent. It’s going to be interesting because JT is a scientist and he’s always after definitive answers. He’s not a theoretical physicist, he’s a biochemist. He wants actual proof and biological, chemical proof of what’s going on and what the cause is. Theories and should-a, could-a, would-a’s are not something that make JT calm. So if you like JT freaked out and stressed out then the next couple episodes might bring you joy. At first JT was confused as to why Tess broke up with him. Does he now understand where she was coming from? AUSTIN: It’s too convenient for a character like JT, who is in his first long term adult relationship, to so easily crack the code that is woman. I don’t think he necessarily understands the specific root of why Tess broke up with him, but he hurt her and he’s just following through on the loyalty that was there. It was just superseded by his loyalty to Vincent, in that particular circumstance because sometimes as Vincent goes, so goes the Scooby Gang. If Vincent is being hunted then they are all at risk. It takes priority over everything and every logical sense. But in a relationship you can’t keep committing to your best friend when your girlfriend is right there for your affections and attention on the side. He’s turning his loyalty and affections for Tess into action and the actions that he know to woo her back, whether that’s roses and gummy worms or saving the team. I think he was thinking the same thing when she broke up with him which is “if I could solve this whole mess, figure it out and stop this from happening then there won’t be any distractions to our relationship.” He’s that much more motivated to be the savior of the group and do what needs to be done. That’s how I, as Austin, look up to JT because inhumanely he takes a lot of danger, stress and emotional baggage onto himself to relieve the rest of the team. He’s kind of selfless in that way but selfish so that he can have a better life too. Are we right then to feel hopeful about JT and Tess moving forward? AUSTIN: Yes I don’t think that’s necessarily a spoiler because I don’t think it was an all out, drag out fight that they had. Even during the scenes in the shotgun wedding there’s still that back and forth between them. You get this bickering because they both want the relationship to happen and work out. There’s a stubbornness now that’s happening but this week, even though JT is in his doldrums, he can now have this moment alone with Tess. Any time he can have that now that they aren’t together, even if it’s dealing with negative stuff, that’s a positive. JT had some nice moments with Heather (Nicole Gale Anderson) recently and got her on board with the team to fight against Liam. How will she affect team dynamics moving forward? AUSTIN: Heather provides a lightness and a brightness to the team because let’s be honest, the four of them have a bitterness and jadedness that’s happened because they’ve been dealing with this the better part of three years. Heather is relatively new to the idea that this stuff exists, she found out a lot more this past week, but that freshness and energy is good for the team and will help. But also she has a different perspective, and you’ll see, she has a couple things that will help ultimately in the hunt and search for Liam. He is a more powerful and more advanced human than Vincent. At this point there is not a way for Vincent to beat him because he’s quicker, he’s stronger and maybe a little smarter because that’s his main focus in life where Vincent might be distracted by love, life and normalcy. The question is whether being in love with Cat provides him more motivation or more distraction in the next few episodes and the battle that will ensue with Liam. It’s good that they are a team because they all need each other. Next episode is fun for JT and Tess and we get some scenes I think the fans will enjoy. It’s a throwback to the JT he once was, living life off grid, hiding from Muirfield, stressed about everything and that back and forth he first had with Tess when they encountered each other late in Season 1. As you mentioned, Liam seems pretty unstoppable. What is the team’s next plan of attack against him to take him down? AUSTIN: They are trying to think ahead and find out what his game is and who he’s targeting. Towards the end of the episode he’s targeting the people that had the serum in them at one point and don’t anymore, so they have to figure out who those people are and feel like they have to get to those people before he does. The next episode goes down that path and he’s obviously after JT. JT has protection but it gets hairy for Tess again because the protection is starting to get into real world stuff, and invades everyone’s co-existence as opposed to trying to live their lives and deal with this on the side. This super human stuff is starting to invade their jobs and personal lives a little more than usual. You guys are actually filming Season 4 right now. Is there anything you get to do in Season 4 with JT that you haven’t done in the first three seasons? Do you have anything else to add about what fans should look for this season? AUSTIN: It’s a fun last four episodes and there’s some wild ordeals and moments. There might be some “Poor JTs” in the future. I don’t know if you get on Twitter but there’s a “Poor JT” train going around because he gets the brunt of a lot of different issues. 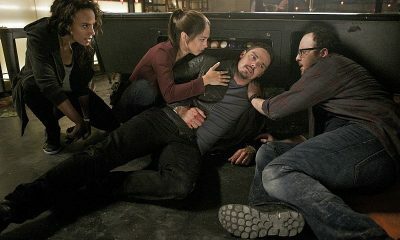 There will be some JT and Tess and VinCat moments in the next few episodes that I think the fans will really like. Hopefully they’ll stick it out and look forward to what happens in Season 4. 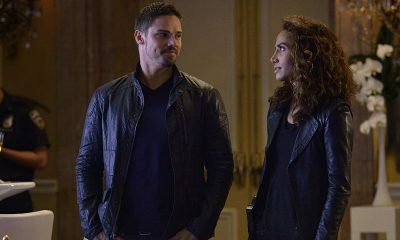 Find out whether or not JT is still infected with the serum by tuning into all new episodes of BEAUTY AND THE BEAST on Thursday nights at 9:00 p.m. on the CW.